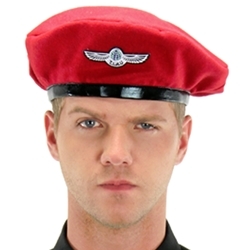 Prepare to investigate and combat paranormal and extraterrestrial threats to the Earth in this Doctor Who UNIT beret. Affiliated with the Torchwood Institute, as well as the Doctor, the UNified Intelligence Taskforce assumes emergency powers when necessary, under the authority of the United Nations. Made from polyester, one size fits most.